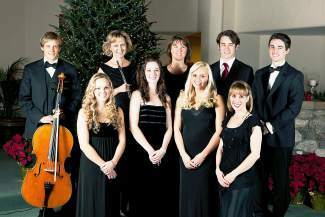 The fifth Sacred Sounds of Christmas will be held on Friday, Dec. 21, at 7 p.m. at the chapel at Beaver Creek. There will be songs not often heard in the shopping malls performed by local college vocal performance majors from Carnegie Mellon University, DUâs Lamont School of Music and Colorado University at Boulder. The songs are interspersed by brief scripture passages following the journey of Mary and Joseph to the birth of Jesus. Led by Dore Marott, who has her masters degree in voice/opera from USC, the group is accompanied by some of the valleyâs finest musicians, including Dawn Poff on piano, Graham Olson on cello and Cecile Forsberg on violin. The chapel is bathed in the glow of candlelight and poinsettias for the season, a perfect complement to the beautiful sacred music. Admission is free. Call Eileen Jacobs at 970-471-3117 for more information.